Bronchitis risk factors and prevention are straightforward. Keeping the immune system healthy and limiting environmental risk factors can go a long way towards defending himself against seasonal disease. This natural remedy is useful to keep cough under control and it’s based on traditional herbal treatments used to cure cough and to reduce irritations in the oro-pharyngeal cavity. It contains protective and soothing action plants like Plantago lanceolata, Echinacea purpurea, Althea Officinalis, Malva sylvestris, and natural product like Honey in a thick syrup status with a pleasant Blackcurrant taste. 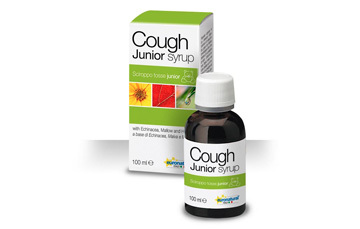 It has a demulcent and expectorant activity that soothes coughs and helps clear phlegm from upper respiratory tract.